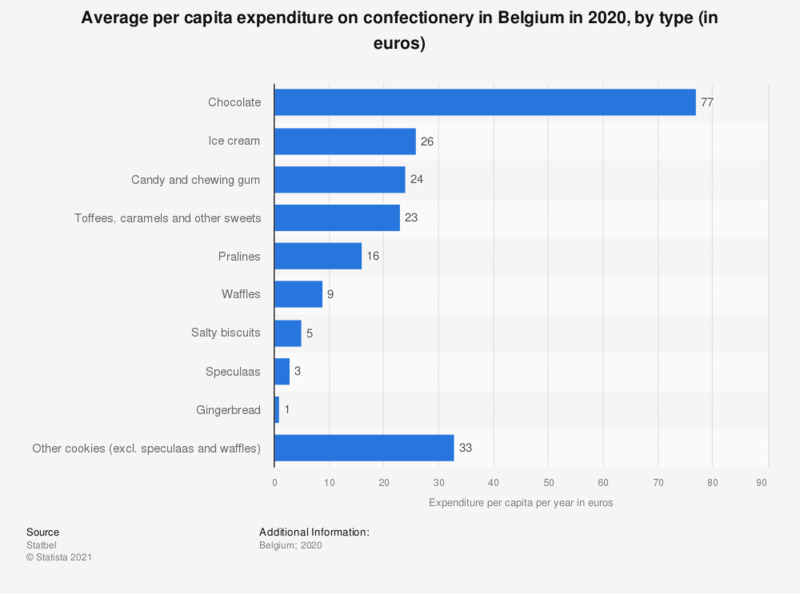 This statistic displays the average per capita expenditure on confectionery in Belgium in 2016, by type (in euros). In 2016, on average Belgians spent approximately 30 per person on chocolate. Approximately 25 euros was spent on candy and chewing gum, and another 23 euros was spent on toffees, caramels and other sweets. On average, Belgians spent roughly ten euros per capita on waffles and approximately two euros on speculaas. Everything On "Confectionery market in Belgium" in One Document: Edited and Divided into Handy Chapters. Including Detailed References.